Made from Chrome Vanadium Steel for strength and durability in a rubberized foldable casing for comfort. 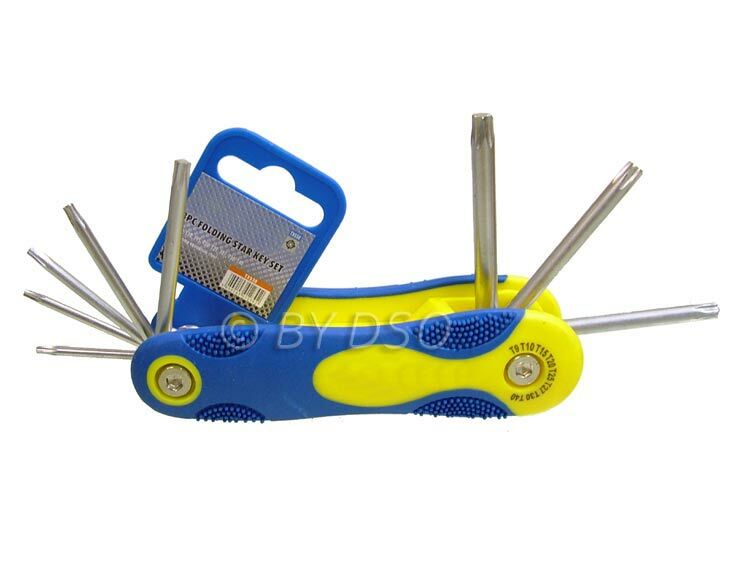 This pocket sized torx key set is ideal for most applications as the torx key bits range from T9 - T40. Each key is engraved with its size on the shaft. Ideal for engineers, trades-people, mechanics and DIY enthusiasts.